The school board decided Tuesday night on a $675,000 referendum. For the average $100,000 home, that’s an added $102 in property taxes for the next ten years. An attorney will now draft the proposal for approval by the board on Thursday. It would then go before residents for a vote in 45 days. If a third referendum fails, the Wausaukee School District is prepared to close. It’s nearly $200,000 in debt. This sounds like a ten year nonrecurring referendum, but it is hard to tell. More on AMPS as the story develops. A February four year nonrecurring referendum (at $1,250,000 the first year and $1,000,000 the subsequent years) failed by a vote of 1,334 to 394; on June 24 a one year nonrecurring $575,000 referendum failed by a vote of 563-544. More on AMPS here and commentary from John Smart here. This video report from WLUK-TV gives more details, but adds to the confusion. According to the story, they are considering what sounds like a 2 1/2 year nonrecurring referendum. I’m not sure that is possible. Keep checking back, I’ll post more as it becomes available. 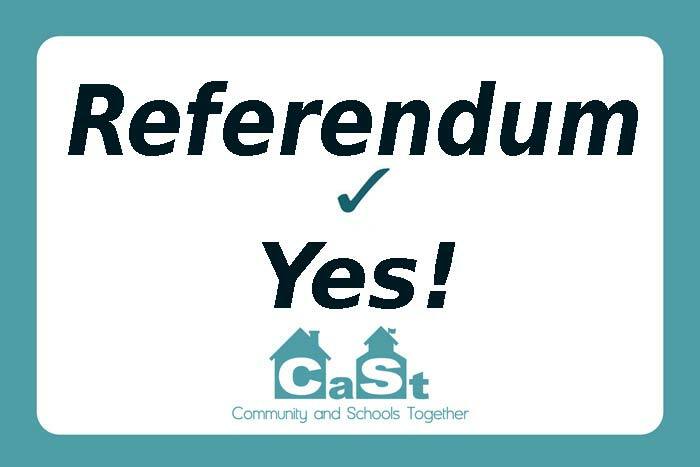 After receiving over 640 taxpayer signatures in support of another referendum, the board voted, at last night’s meeting (July 1), to authorize me to work with legal counsel to draft the resolutions for a third referendum. The referendum will be to exceed our revenue limit by $675,000 per year for ten years. The board will be voting on the resolutions at Thursday night’s meeting. During the meeting last evening, our school board president, Dennis Taylor, indicated that the yearly school tax increase for this referendum amount on a $100,000 home would be approximately $102 per year. This amount is based on a zero percent increase in equalized value. If equalized value of property in the district increases, the actual impact for the referendum amount will be less per year. Where the confusion may enter in is that Mr. Taylor indicated that in 2 ½ years our building debt will be paid off. Our current annual payment for our building debt is $675,000; thus, when our building is paid off, the school tax increase from the referendum will be offset by the decrease in school taxes from the pay off of the building debt. Thus, the increase from the referendum will be felt by taxpayers for the next three years, and then the school tax will revert to near existing levels. I trust that is the basis for the reporting of an increase of $102 per year for 2 ½ years on a $100,000 home. With anticipated declining enrollment, our district will continue to realize a natural increase in our tax rate because of a drop in state aid. As I have said before and will say again, “Educating our children should not be this difficult.” Our children deserve a solid education, and there should be sufficient revenue with which to provide such an education. A major problem that our district faces is our shrinking state aid. Since state aid is based on property wealth per student, and we are faced with high property values and declining enrollment, you understand the end result. Currently, our district is aided at 14.93%; thus, our taxpayers are already paying over 85% of our total revenue limit. This fact makes passing a referendum exceedingly difficult, at best. The sobering reality is that nearly 50% of our student population receives free and reduced lunches. Our district may be property rich, but many families are income poor. So, we’re caught in a vice grip. Our state constitution guarantees a fair and equitable education for every child in the state. We have reduced our programming to a level where we believe any further cuts will greatly harm our children. We need additional revenue to provide this level of education for our children. Our taxpayers feel overtaxed with the state picking up only 14.93% of the cost. When our board of education reluctantly voted on June 26 to consider dissolving our school district, in the wake of our failed referendum on June 24, the board members were taking a stand for children. Moving to this third referendum will not halt the dissolution process. The two processes will run parallel with one another. Since we do not know whether the referendum will pass in August, the board is scheduled to take action on ordering the dissolution of the school district on July 8. Should our referendum pass and our district receive additional money for operational costs, this factor will be weighed by the state in deciding the future of our district. If you have any additional questions or need further clarification, please feel free to contact me at any time. So it is a ten year nonrecurring referendum proposal, but the retirement of debt from a building project will lessen the apparent property tax impact after 2 1/2 years. I wish Ms Dooley, all the staff, parents, students, Board and community members in Wausaukee the best. The most important way we can way to help them is to keep the pressure on the Governor and the Legislature.